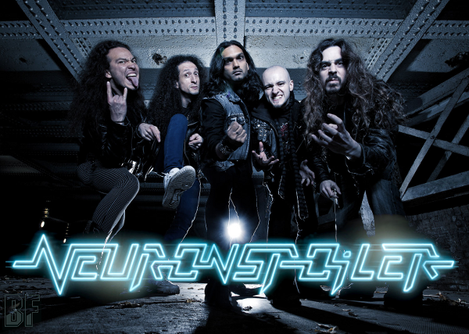 NEURONSPOILER is a multi-national UK based Classic Metal band, each member has come together from far and wide, drawn from four different countries to the birth place of metal: England. Their sound combines the fist-pumping strength of heavy metal, the taste and feel of classic rock and the headbanging precision of thrash. Their brand of no-rules heavy metal finds the perfect balance between the traditional and the modern. Their debut EP "No One's Safe" was released in November 2010, earned incredibly positive reactions from fans and critics all over the world. And in January 2013, their first full length album "EMERGENCE", was produced by Guillermo "Will" Maya (The Answer, Breed 77, Panic Cell, Adrian Smith) is at the helm, was released by themselves. 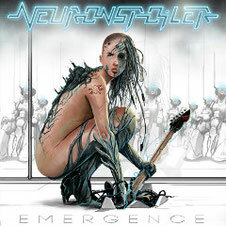 NEURONSPOILER has been doing interviews and gigs of every weekend energetically, since the new album has been released. You should check out this band, if you are a fan of Judas Priest, Iron Maiden, ACCEPT, Ronnie James Dio or Iced Earth.